COLUMBUS—Columbus Metropolitan Library (CML) has hired Stewart Smith as Director of Finance. He begins his role at CML on Monday, June 13. As Director of Finance, Smith will report to the library’s Chief Financial Officer (CFO) and be responsible for overall accounting and finance operations and serve as deputy fiscal officer of CML’s Board of Trustees. A Columbus native, Smith received his MBA from Franklin University. 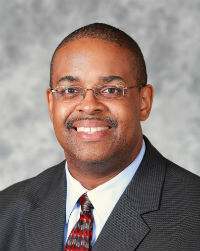 He currently serves as Vice President of Finance and CFO for YWCA Columbus. Prior to his work at the YWCA, Smith worked in various accounting and financial roles for Price Waterhouse Coopers, ABB Inc., the Ohio Police and Fire Pension Fund and the Ohio Treasurer of State’s office. Smith is past president and current treasurer of the Board of Trustees for Youth Advocate Services, a nonprofit foster care agency serving youth and families in Columbus. Additionally, Smith has served on various boards, including the Public Pension Financial Forum and the Central Ohio Chapter of the Association of Government Accountants. “Stewart’s depth and breadth of financial experience, combined with his commitment to education, will make him a great asset to CML,” said CML CFO Paula Miller. Columbus Metropolitan Library has served the people of Franklin County, Ohio since 1873. With its Main Library and 22 branches, CML is well known for signature services and programs like Homework Help Centers, Reading Buddies, Summer Reading Club and Ready for Kindergarten. The library’s Strategic Plan supports the vision of “a thriving community where wisdom prevails,” which positions CML to respond to areas of urgent need: kids unprepared for kindergarten, third grade reading proficiency, high school graduation, college readiness and employment resources.